Learn how to make a tasty summer salad with mealworms within minutes. 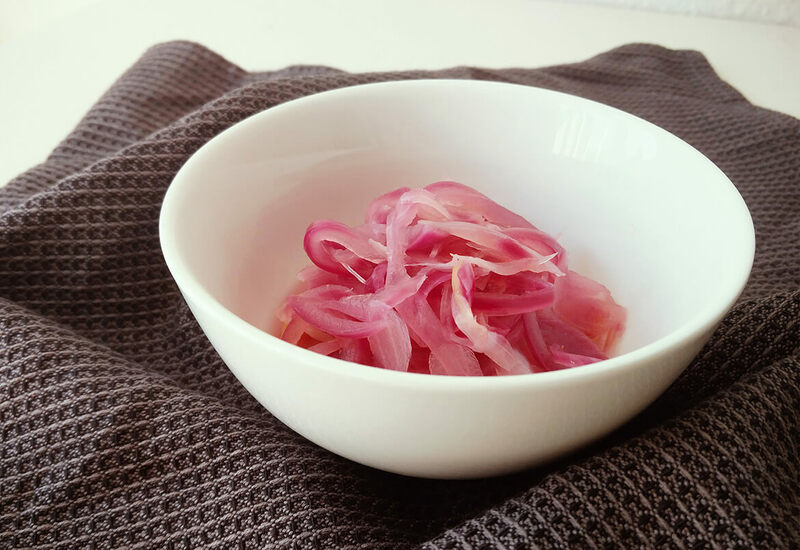 BONUS: Learn how to pickle red onions in under 10 minutes. Pour the beans and the corn in a strainer and clean them with cold running water until the water is clear. Clean the salad, bell pepper and cherry tomatoes. Chop the salad fine. Slice the haricot verts into 2 cm pieces and the red bell pepper into squares. Half the tomatoes and the lime. Mix all the ingredients except the lime in a bowl. Squeeze the lime juice on top of the salad and add homemade pickled onions (see the recipe below). If you like it hot, add the jalanpenos as well. Acabado! Enjoy your wholesome meal or invite friends and family over for an experience they won’t soon forget. In the salad, you will find an intriguing combination of colors from the red kidney beans mixed with the red tomatoes and bell peppers together with an ocean of other colors from the yellow corn, the purple crunchy radicchio, the green beans and jalapenos. 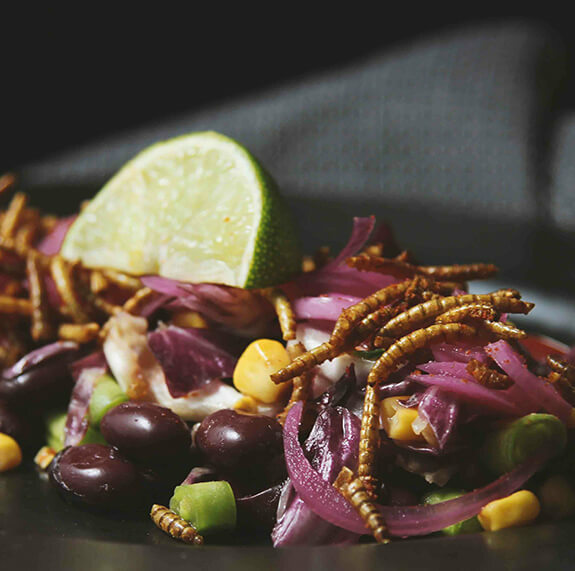 This wonderful dish is topped with Cricksters’ crunchy, tasteful and nutritious Insnack (The Taste of Mexico). Bon appetit! That’s why we believe you should have a chance to have your own bite of Mexico with Crickster’s Mexican salad recipe. Add sugar, salt and peppercorn into a small pit. Add vinegar and stir until sugar and salt are dissolved. Put the mixture to a boil under a lid with middle-high heat. Peel the red onions and cut the onions into thin slices. Peel the garlic clove and crush it with a knife. Put the red onions and garlic in a heat resistant bowl. When the vinegar mixture is boiling, pour it over the onions and make sure all the onions are covered. Let it cool down at room temperature. 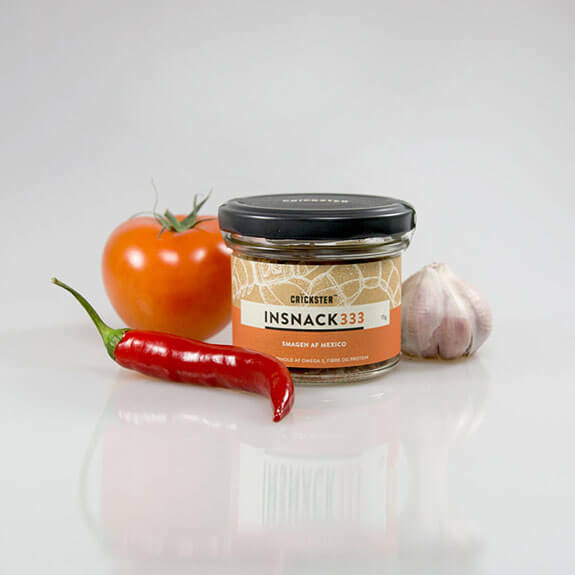 When it’s cool use it for your delicious Mexican salad or keep in the refrigerator for up to 4 weeks! Pickled onions are a delicious addition to many dishes, and they can be stored in the fridge for up to 4 weeks... Enjoy! ALL NATURAL & NON-GMO! No hormones, no preservatives, no artificial ingredients, no antibiotics, no gluten, no wheat, no dairy, no sugar, no soy, no yeast. 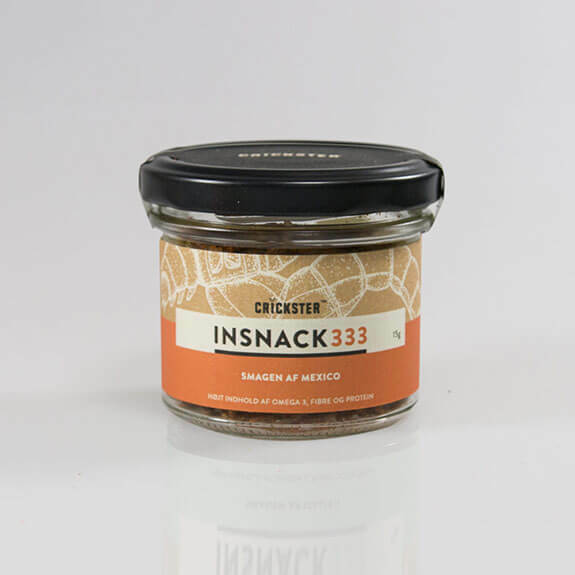 CRICKSTER'S BEST SELLER: Insnack333 Taste of Mexico is our customers all-time-favorite snack!